Vet Air will be collecting monetary donations and distributing information about their organization at their table from 9:30 am to 3:30 pm on the Upper Level near target. Proceeds will help Vet Air provide transportation to hospitals for Vets in need of medical care. 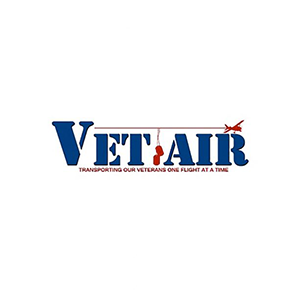 Vet Air is a 501(c)(3) nonprofit organization committed to ensuring that veterans have the necessary travel solutions to and from their medical care appointments free of charge. This is accomplished by partnering with a network of volunteer pilots, aircraft owners, commercial aviators and with ground transport providers dedicated to providing transportation to veterans. Vet Air will be fundraising and distributing information about their organization on the upper level near Target.